National Geographic recently published a special edition titled, “50 of the World’s Last Great Places – Destinations of a Lifetime”. 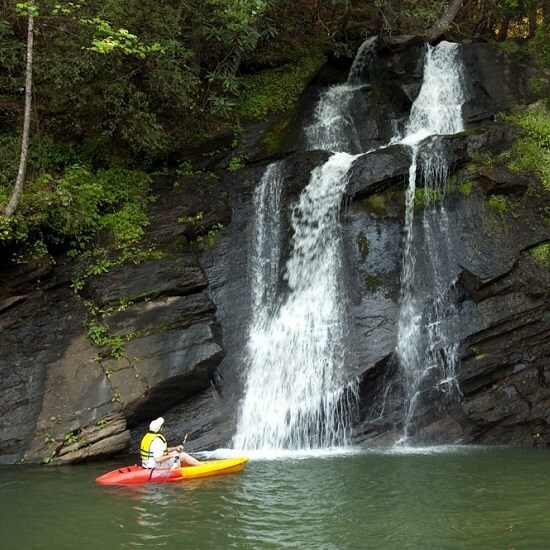 The Jocassee Gorges area of Oconee County was one of only three destinations listed for the entire US! Well, among other things, we have over 150 waterfalls with hiking trails to 29 of them. Two rivers that offer excellent fly fishing and heart thumping white water rafting and kayaking. Four lakes that provide world class fishing, boat rentals, lake tours to the waterfalls (YES – there are waterfalls on our lakes! ), kayaking, paddle boarding and great mountain views. Over 85,000 acres of protected national forest land. Five lake front and one river side county and state parks that offer cabins, camping, RV sites and lake amenities. When the day is done, grab some dinner and then head to the Westminster Music Hall for an evening of musical entertainment. In other words, if you like the outdoors, southern hospitality and culture, you will absolutely fall in love with Westminster! For more information on what to do when you visit Westminster, please visit the Mountain Lakes Convention & Visitors Bureau. 105 West South Broad St.